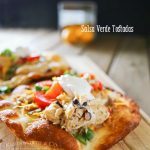 Salsa Verde Tostadas are a simple chicken dinner made mostly in the slow cooker. 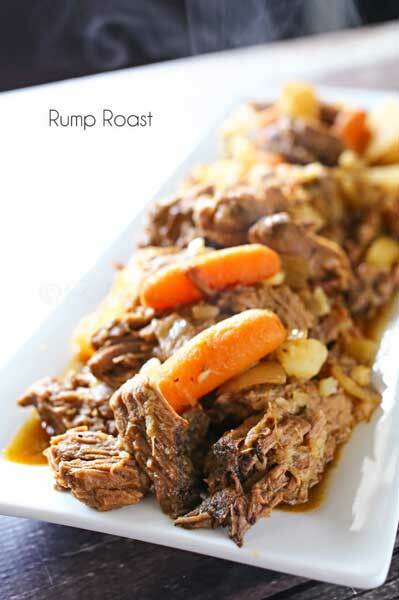 If you love easy crock pot meals- this one is for you! Just simmer & serve. Most people associate the slow cooker with winter meals. But after living in the desert for all those years, I learned that cooking easy crockpot dinners during the summer was the best way to keep the kitchen cool on those hottest of days. I mean, who really wants to slave over a hot stove when they are already way too hot from that summer sun? I know I didn’t then & even though I live in a cooler climate now, I still like to keep summer meals simple. Toss & go is my motto for dinner as often as possible. Which is why I just can’t get enough of these salsa verde tostadas. I just simmer the chicken in my favorite crockpot with some great sauce & seasonings for a few hours. Then when it’s time to eat, I fry the tortillas & it’s time to assemble. I have to say, anything with salsa verde quickly becomes my favorite. I can’t get enough of the stuff. So when we put these together it was really hard to not go back for seconds. I already couldn’t stuff another bite in- but boy I sure wanted to. These were absolutely INCREDIBLE! Simmering the chicken in the salsa verde just gave it so much flavor. Slightly spicy with that great roasted tomatillo flavor. Mmmmmmm- I already want more. I also really love the fried flour tortilla. They puff up almost like naan, but much lighter. It’s seriously addictive. 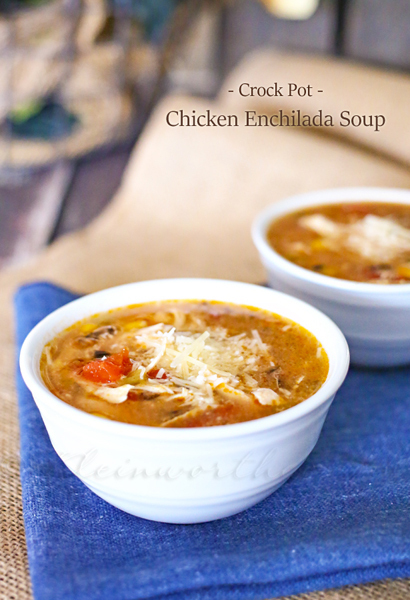 Combine chicken, enchilada sauce, broth & seasonings to slow cooker. *Note- all slow cookers cook differently - watch your time It may cook faster. In a deep fry pan or short stock pot, heat the oil, and drop one tortilla in until it starts to brown & puff up, flip, and brown the other side. These cook in about 30-60 seconds. Continue until all shells have been fried. Place cooked tortillas on a paper towel to absorb excess oil. 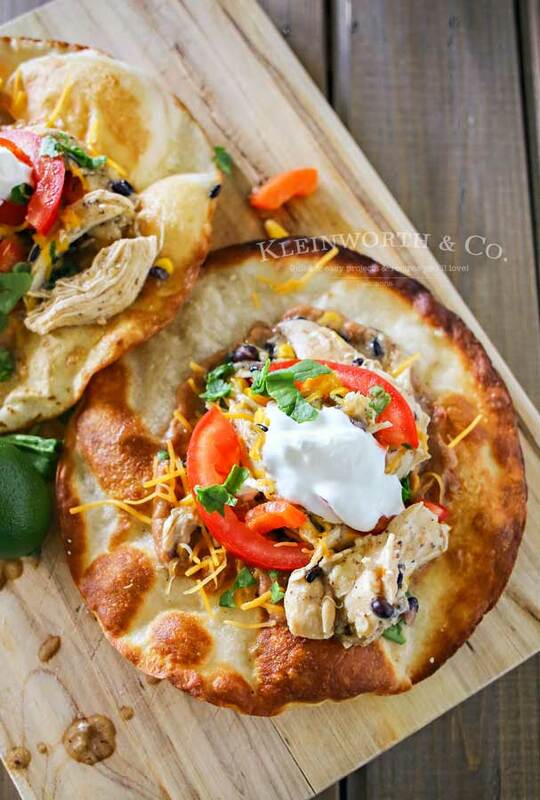 Add beans & chicken to your cooked tortillas with your favorite ingredients. Bottom line- if you want a show-stopping dinner that takes little to no effort. These will be your favorite! 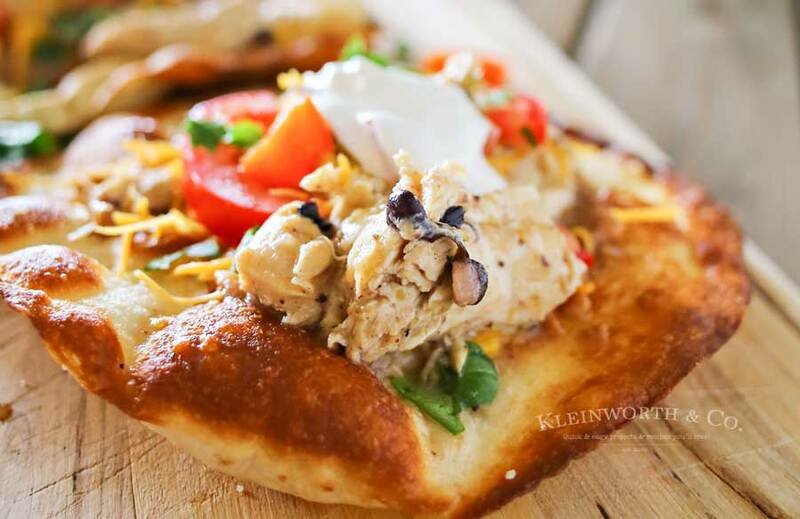 Looking for more easy family dinner ideas? 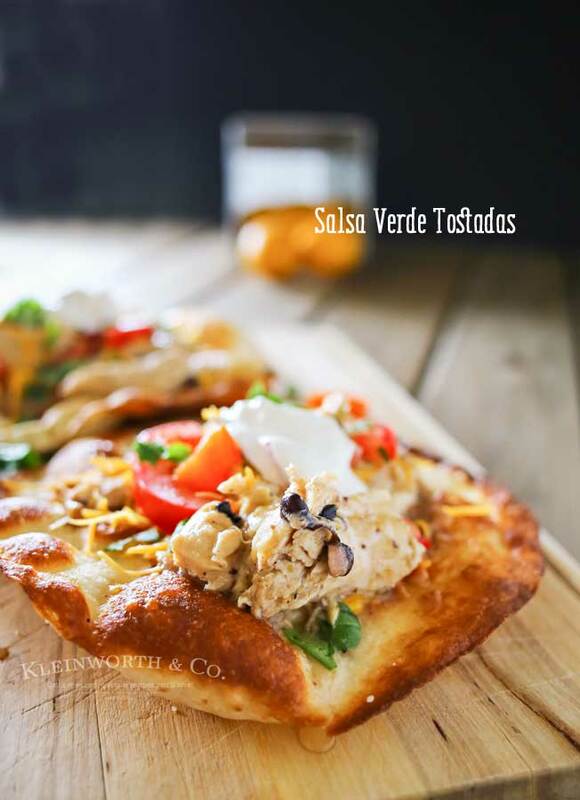 We love Tostadas and your recipe would be delicious! Thanks so much for sharing with Full Plate Thursday and have a very special weekend! This looks so delicious that I just have to make it. 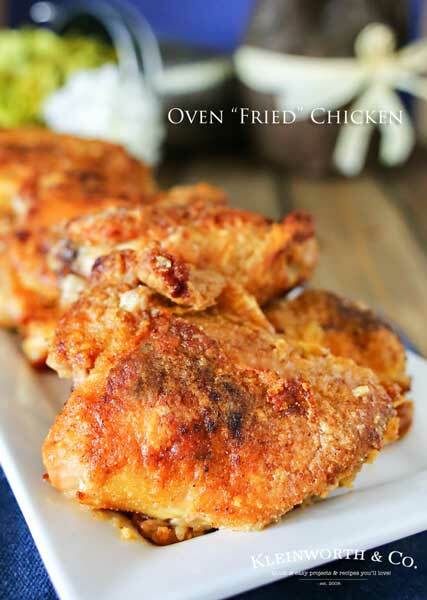 Great recipe and beautiful photography. I hope you open a tostada truck soon and I’ll be first in line! YUMMY!